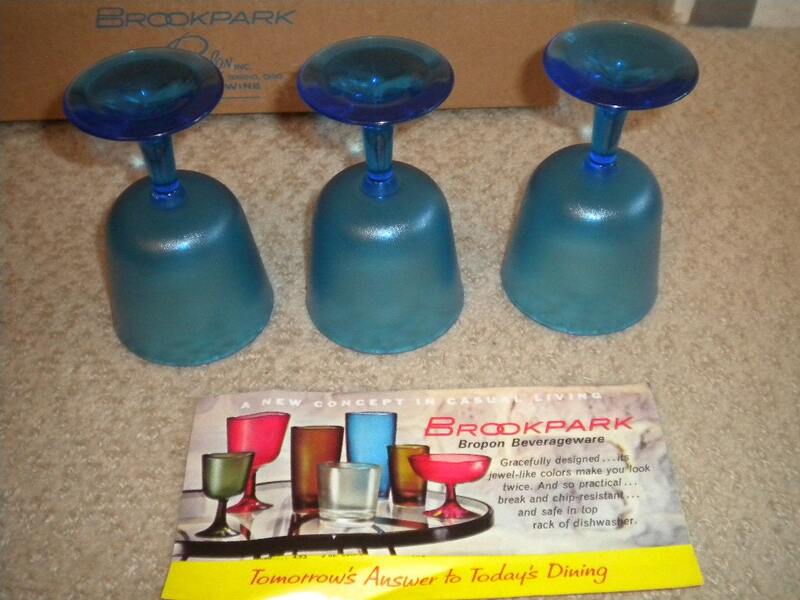 OvilleVintage on Etsy has these great Fantasy Brookpark Cups and Saucers for sale! Today I'm giving more thanks and kudos to designer Joan Luntz. I hate to play the female card, but I have always been partial to her as a designer. If you think about it, early in her career (when she started designing the melmac, late 40's and debuting it in 1950) , she was up against many men industrial designers. Predominately a man's world if you will. Enter the boys: Russel Wright (Residential) , Kaye LaMoyne (Branchell), and Raymond Loewy (Lucent) , just to name a few. Now one could argue there were the Eva Ziesel's and Belle Kogan (Boontonware Belle), and even Russel's own wife Mary Wright did some design work herself so there were some women emerging. No doubt back then it was a bit harder for women to be taken seriously. Joan may not have had that problem getting her work noticed as not only was she very talented from the start but also very well educated. Joan was from Ohio, and she was a well minded businesswomen. Suffice to say, Joan was ironically dating, then eventually married George Goulder. He would soon be the owner of Industrial Molding where her dishes would eventually be manufactured. Of course at the time she met him, who would have known they would eventually be designing and molding plastics together? Life takes you down strange paths indeed. For Joan, the plastic in my opinion, is one of her best life's accomplishments. 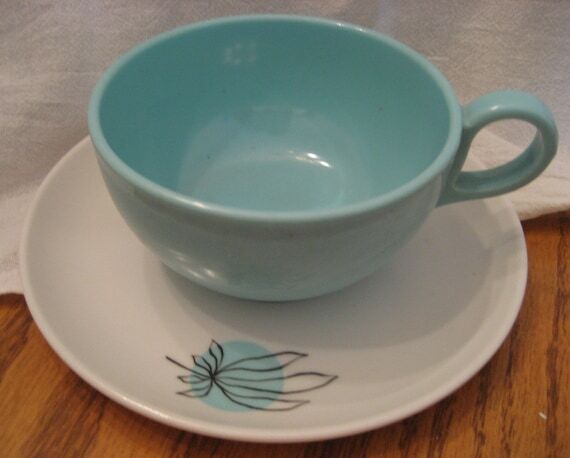 Her line is set apart from many other melamine lines of the 50's. 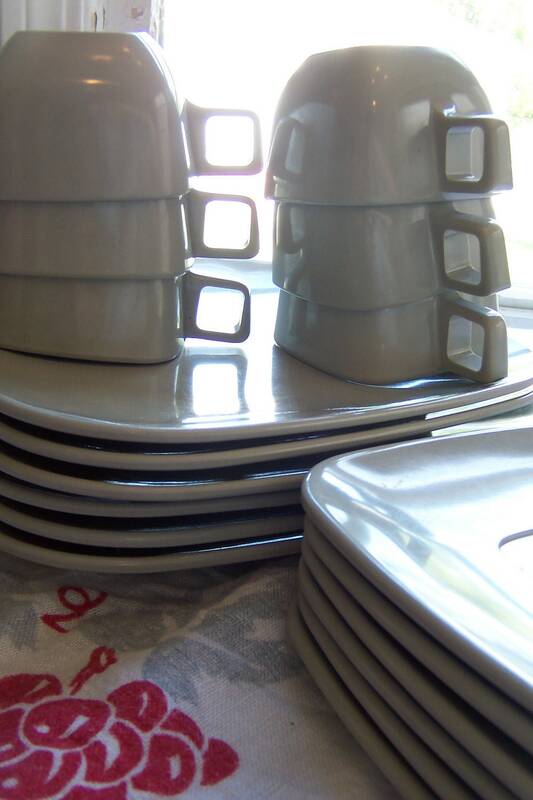 Joan managed to break the mold, if you will, by offering these "square" dishes and being design spunky --in my opinion, a bit ballsy since everything was "round" or oval back then. 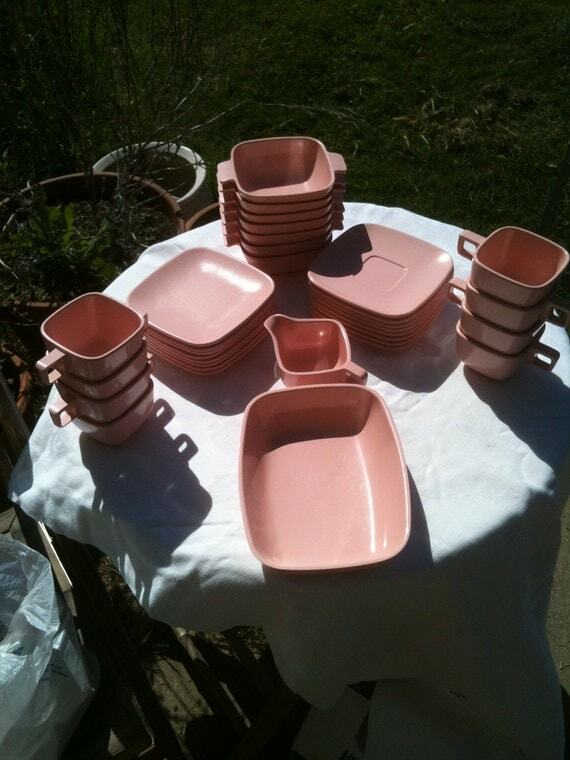 This set retails for $85 and rightfully so at CrackerDogTrading on Etsy.com--there's completer pieces and hard to find soups. Hello, what's this? These are a mix of Brookpark + Prolon and called Bropon. I have never seen these before. Lovely, and the look of glass in plastic. 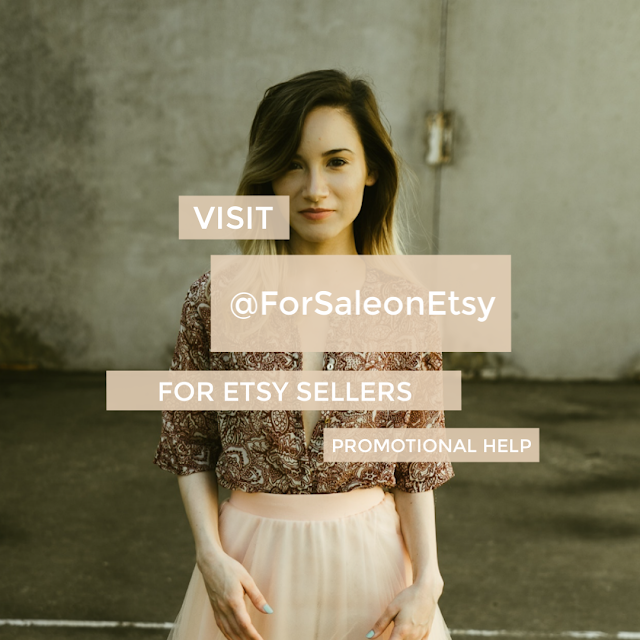 These are available at 20thCenturyFoxy on Etsy, and I would consider them in the original box a steal for the price. Her granddaughter had contacted me some time ago for a salt and pepper set, to have one of her grandma's designs. Joan is still alive and well, and so are her dishes. Although there is no formal chronology of all her patterns, we keep finding new mysteries that surface and it brings the "ohhhh and ahhhh" like the ironic name of "Bropon" glastic cocktail glasses (above). How chic! How colorful! And so perfect for the modern diva's entertaining needs. 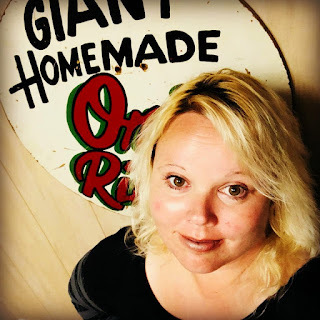 I will be posting a value guide shortly on Brookpark Modern Design and Arrowhead Everware, but in the meantime I wanted to leave you with some food for thought. 1. Holidays- Entertaining I've heard of people using them at the holidays --the maroon and green Brookpark looks lovely, and who will see the scratches on the surface if they are covered with a paper doily and cookies? A lovely display. 2. Giftgiving- Fill a cup full of cookies, cover in saran and top with a bow. The perfect gift giving stocking stuffer is here! The light grey cups look fabulous with chocolate chip cookies and a red and green bow! 3. Fundraising Ideas - I've seen Brookpark Square dinner plates and platters be used for fundraisers. The goodies in the "prize pack" are on the dish, and it's wrapped in cellophane. Great for church or school events. Not to mention that it's a useful alternative to a basket. 4. 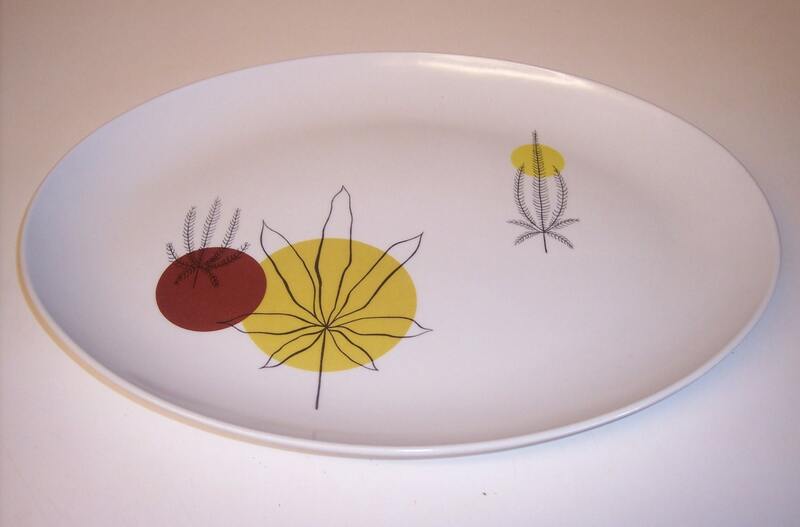 Camping, Kiddies, or Use in Your Everyday Life - Great for campers, retro style picnics on vintage plates. Why not have pizza, snacks, or your favorite lunch on them? Kids won't break them if they toss them. You can use them, wash them, just don't microwave them or gouge them to death with steak knives. 5. Collect and Display- Nothing says modern design like a display of Brookpark. Go off-site to read this Wonderful Article on Joan Luntz, sent to me by her daughter. It has great photos of Joan's work as a designer. Read all my Brookpark entries HERE. Hey, check out this modern light I love, would look great in that fifties kitchen hanging over a set of Brookpark Melmac! You can find more just like it below by clicking on the website! Thanks for reading Melmac Central. Keep the melmac love flowing.